Cystic acne, or nodulocystic acne, is the most severe form of acne. 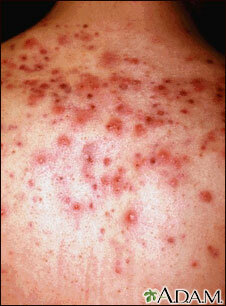 Both pustules and hard red bumps are present in the skin. This form of acne is more difficult to treat and often requires taking an oral vitamin A derivative.